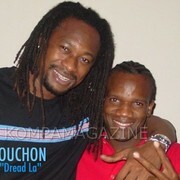 DJAKOUT #1 CRISIS: HAS THE GROUP SPLIT IN 2? READ WHAT A COUPLE OF CREDIBLE HAITI REPORTERS ARE SAYING! *HAS DJAKOUT #1 SPLIT IN 2 FACTIONS? READ WHAT CAREL PEDRE IS REPORTING OUT OF HAITI! *GUY WEWE TELLS US WHAT HE HAS ON THE DJAKOUT SPLIT RUMOR!